There are many wonderful hikes in and around Tokyo, but my favorite is Nokogiriyama in Chiba Prefecture. 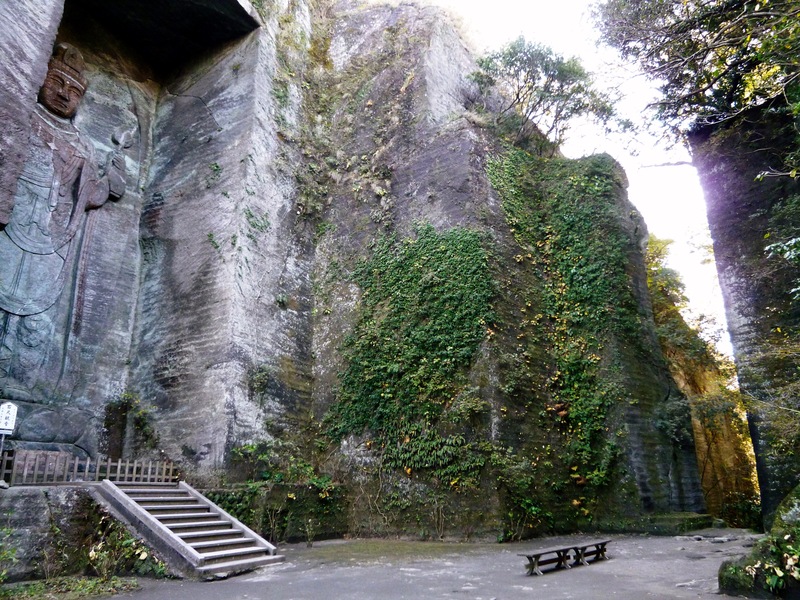 Nokogiri means ‘sawtooth’ and is so named due to jagged rock face that was exposed in the Edo Era when it was a quarry. If you prefer an easier hike, travel by ropeway to the top of the mountain and start hiking from there. Or, challenge yourself by hiking up through areas of the ex-quarry. 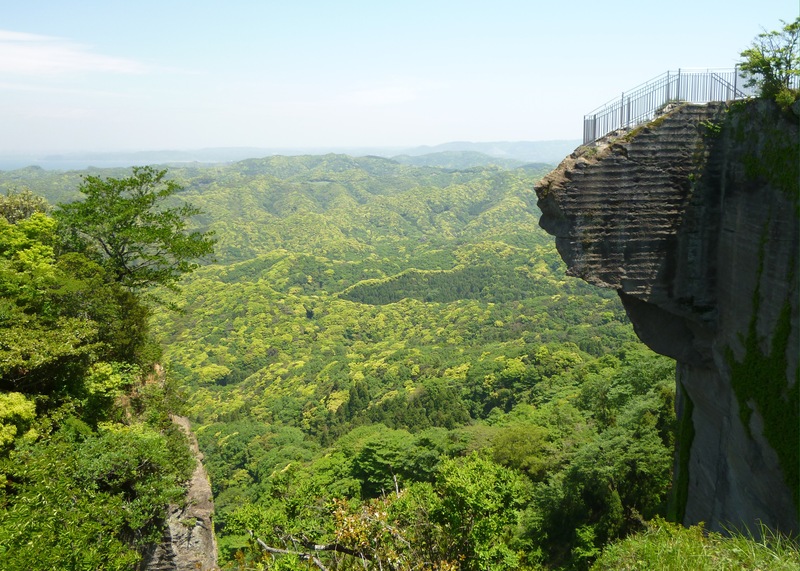 Don’t miss this lookout point called ‘jigoku nozoki’ (a peep at hell), which is a thrilling spot for taking in the view. 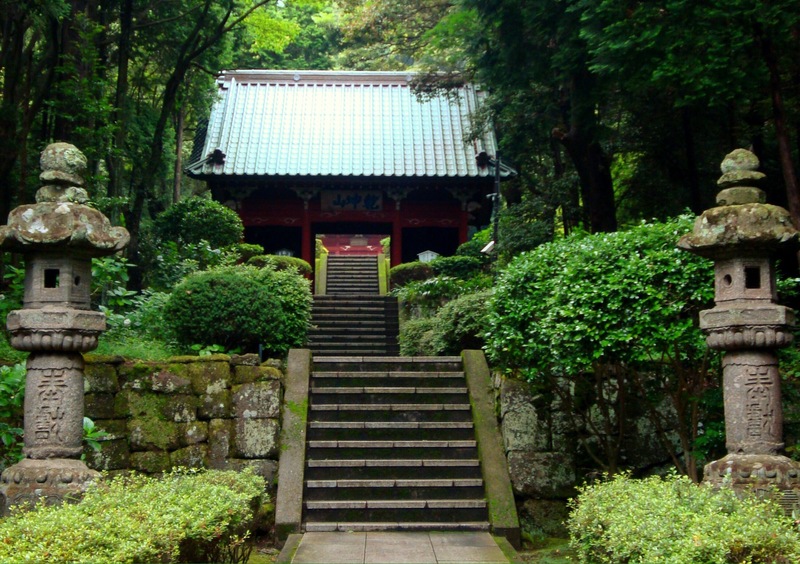 On the western side of the mountain is the site of sprawling Nihonji Temple complex, which was founded 1300 years ago. Within the grounds, wander up and down staircases lined with 1500 hand-carved arhat sculptures (disciples of Buddha) which date back to around 1780. 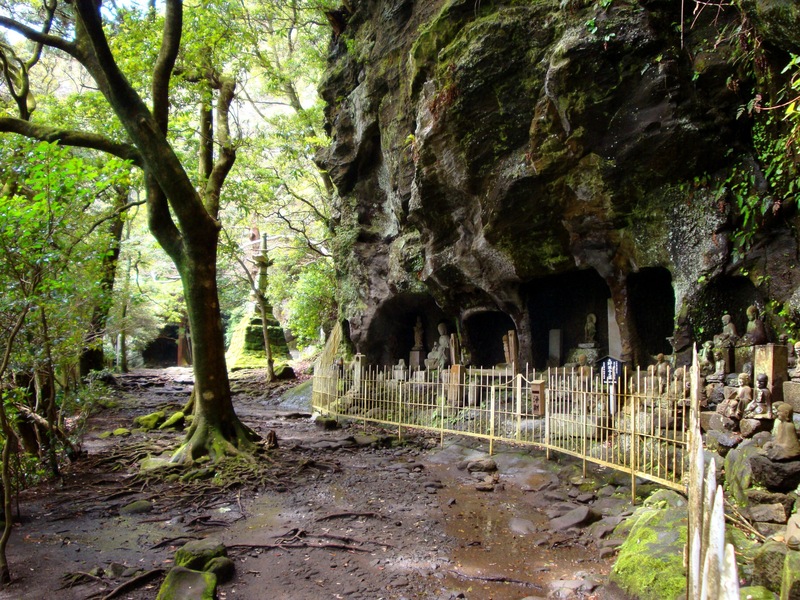 Down one lush, green trail is the hyaku-shaku Kannon, a tall Goddess of Mercy that has been carved into one of the quarry walls. 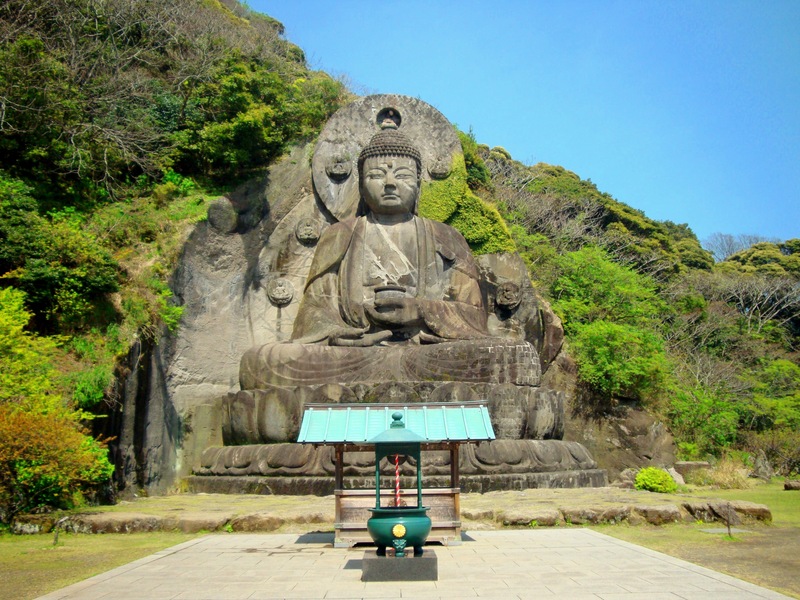 The mountain’s main attraction is a huge, seated Yakushi Nyorai, the largest pre-modern stone-carved daibutsu in Japan. It is larger than those in Nara and Kamakura and took 28 men three years to carve. It was finished in 1783 and is 30 meters tall (double the size of Kamakura’s daibutsu). Although there are some restaurants between the train station and ropeway, there is no food on the mountain itself. I recommend that you take a lunch and have a picnic in front of the daibutsu (there are drink machines). Don’t miss the temple’s main hall and other structures. They are a short walk downhill from the daibutsu. 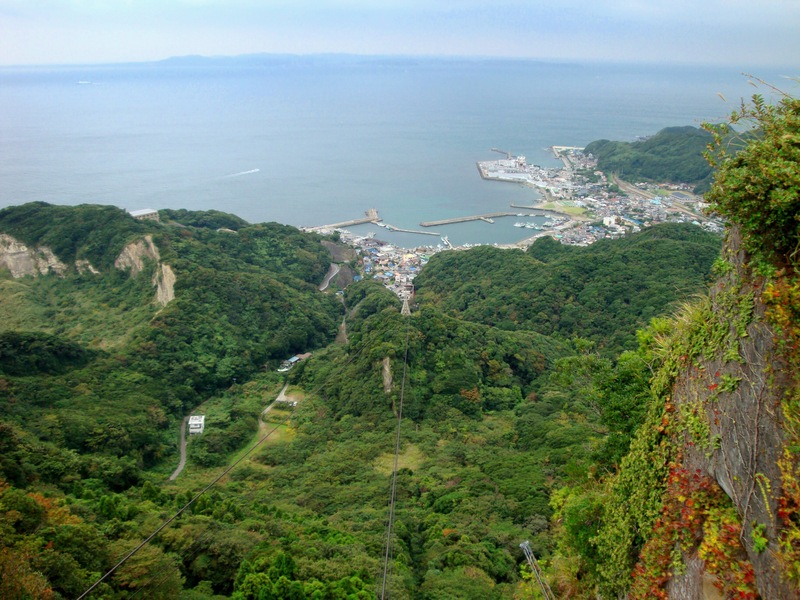 After exploring the mountain, take the ropeway back down and walk out to the ferry port. Stop at ‘The Fish’ to buy local souvenirs and food products. 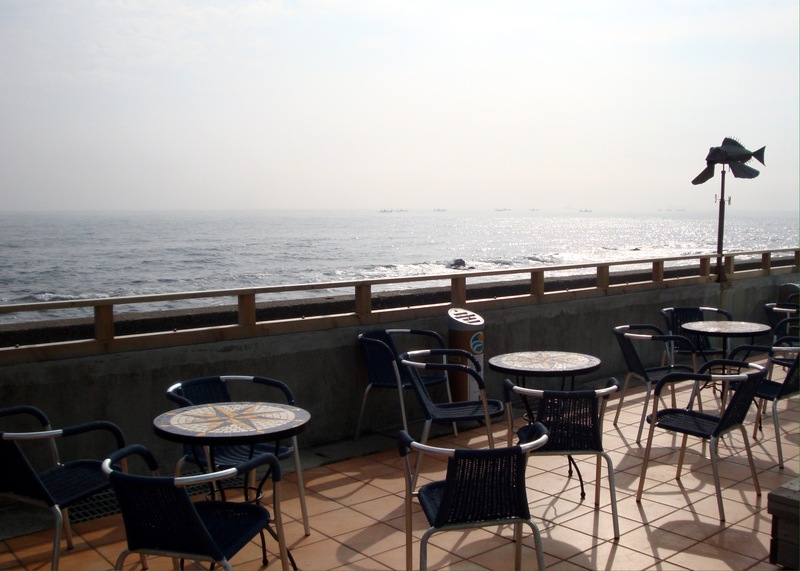 If you have time, purchase drinks and snacks, take them out back, and enjoy watching the sea from this patio before heading home. Getting there: Take the train from Tokyo Station to Hama Kanaya Station. It is a short walk to the ropeway or start of the hiking trail. If you don’t want to return home the same way you arrived, take the ferry across Tokyo Bay to Kurihama. The boats leave about once an hour and takes 40 minutes. Upon arrival, take a taxi or bus to Keikyu Kurihama Station. At Keikyu Kurihama Station, take any train that heads back to Tokyo. Look for Shinagawa/Shimbashi/Nihombashi on the sign. The trains leave about every 10 minutes; the ride takes about 60 minutes.